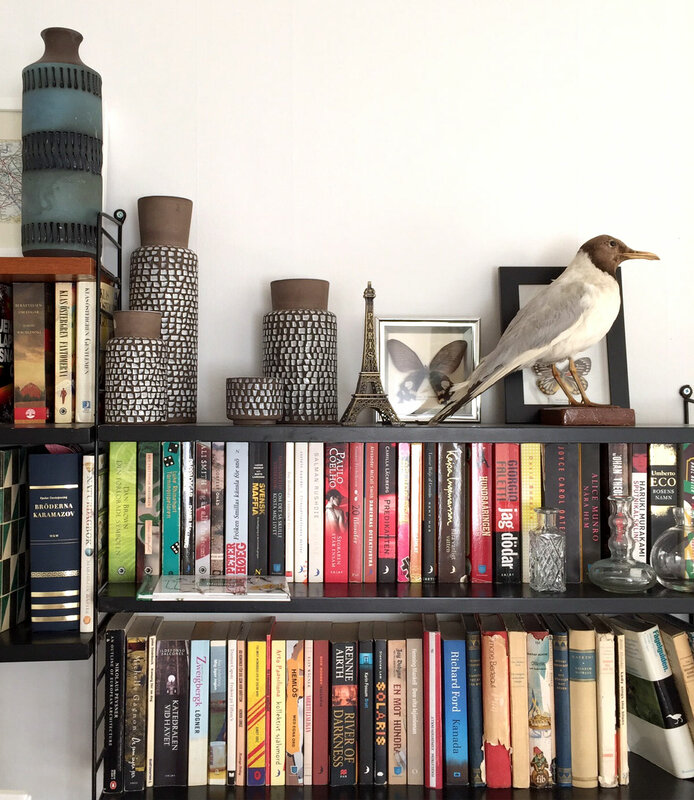 Last week we challenged you to a competition: could you style a shelfie better than we could? 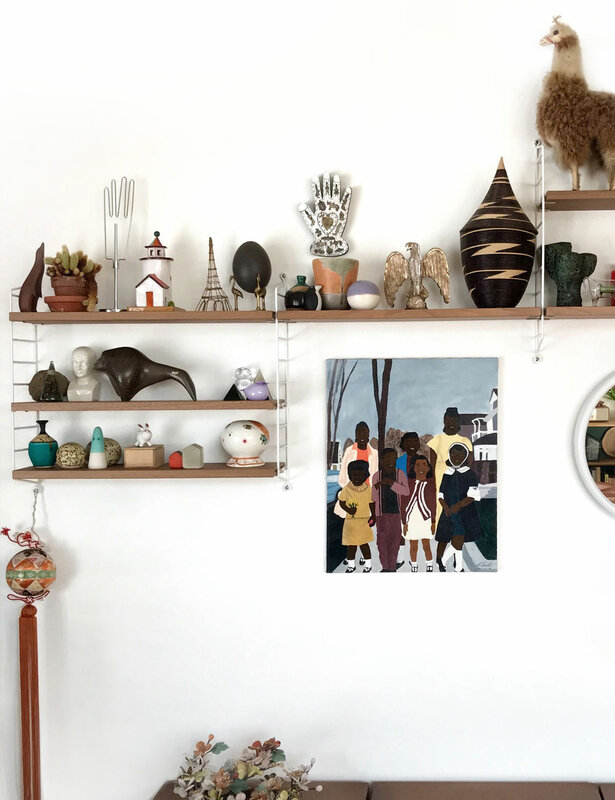 We wanted to see how you curate your shelves – what goes on them, how they’re arranged and artfully finessed – and were overwhelmed by your responses. From sleek, monochrome styles, to lush, plant-filled displays, the results were even more varied than we could have imagined. We handpicked our favourites and asked their creators: what does your shelfie say about you? Our favourite #shelfies - what does your shelfie say about you? Image credits L-R: @kimlobker, @nicosofie, @racheldeerhead, @soozidanson, @kimlobker, @tuoski, @nicosofie, @tuoski, @soozidanson, @yourdailydeco, @ems.jungle, @yourdailydeco. To say shelfies represent our personalities is an understatement. Adorned with family photos, our favourite books, films or music, treasures collected on our travels and more, they communicate the very essence of who we are and how we like to be seen. This is certainly the case for reader Jenny Bäckström of @yourdailydeco who sent us several snaps of her treasured 1950s String Shelf. 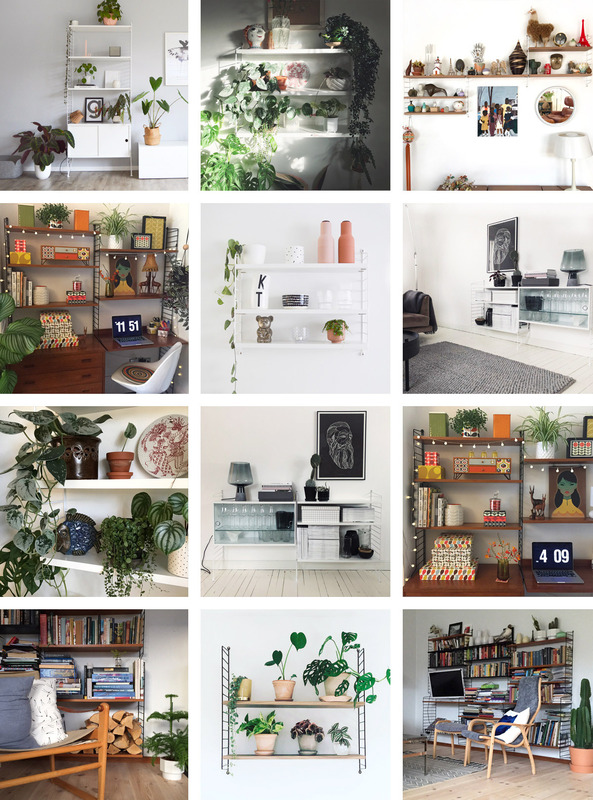 Self-confessed Crazy Plant Lady, Nicoline Kristensen, likes to think outside of the box when it comes to her shelfie. 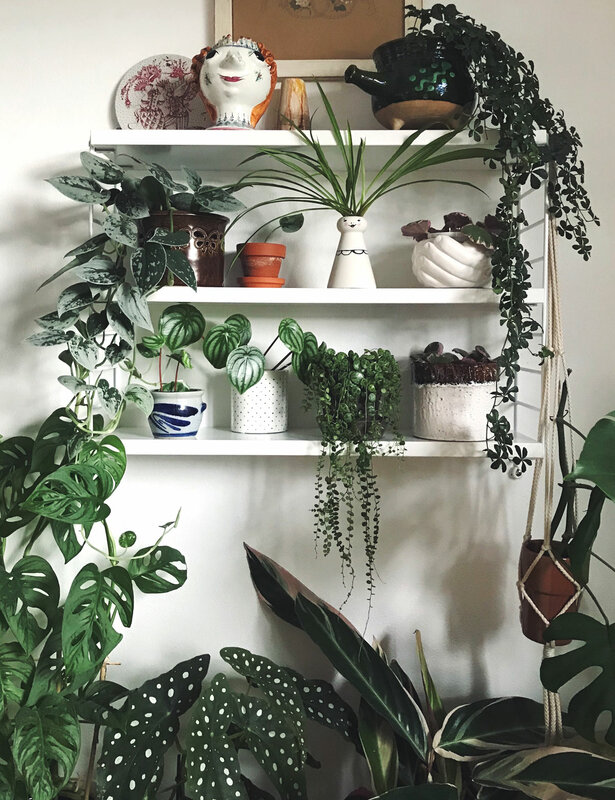 She’s dressed her String Pocket Shelf with an eclectic mix of lush, green foliage, family heirlooms, homemade objects and a gravy boat that’s been repurposed as a planter. Shelfies are also a great way to pay homage to your favourite pastime. If you've got a treasured collection that you’ve accumulated over the years, it’s a great way to let it see the light of day, rather than keeping it hidden in a cupboard. It doesn’t matter what it is – vintage cameras, globes, football memorabilia – anything goes! 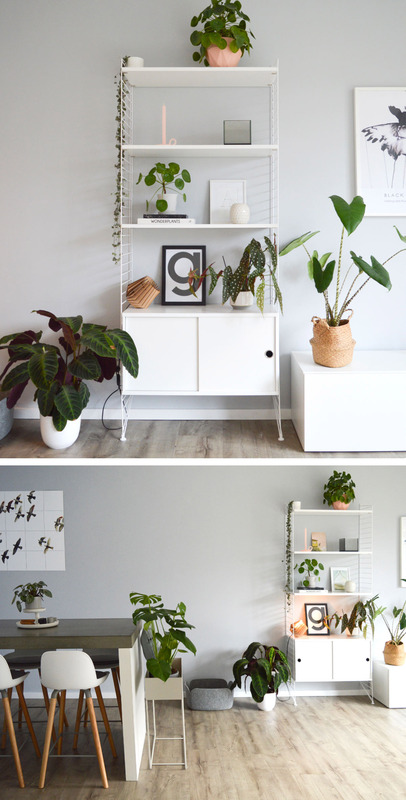 Emelie Oskarsson adores plants and uses her shelves as a way to display her favourites. Curating a shelfie can also become something of a hobby too; something to spend time planning and executing, then enjoy when it’s complete. Reader and design enthusiast Rachel Kauffman, who likes to pair designer accessories with thrift store finds, agrees. One of the best things about shelfies is their versatility. Just rearrange your display to give your room a whole new look. You can also create multiple shelfies throughout your home, like readers Soozi Dansen and Kim Löbker. 'This original vintage String shelving system forms a very important part of my home. It screams Mid-century modern but at around 50 years old looks bang up to date and fits perfectly with my eclectic style. I am a habitual ‘faffer’ and ‘Shelfie Stylist’ constantly changing the look of a room by simply moving things around! I like to surround myself with items that are visually stimulating & aim to have something interesting to look at everywhere you turn. My love of pattern & colour is particularly apparent around my String corner, with simple retro designs playing a huge part in the styling of these shelves'. Soozi Danson @soozidanson. Personal, fun and with longevity, shelfies are something we fully support. They’re a way to express yourself in the most creative way possible. Reader Teemu Tuononen says his shelfie is a distilled version of his daily pursuits – something we love the idea of. While the concept of a shelfie might be the most unlikely of phenomenon, the idea is very much something we can get behind. Beautifully dressed, they can add personality and soul to your home, while also being a practical way to tidy away your possessions and keep them out of harm’s way. We’ve loved seeing the #shelfies you sent our way last week, so much so that we’d love to see even more. If you’ve a Vitra ESU, Muuto Folded, Magis Boogie Woogie or any other shelf for that matter, we’d love to see how you’ve styled it! 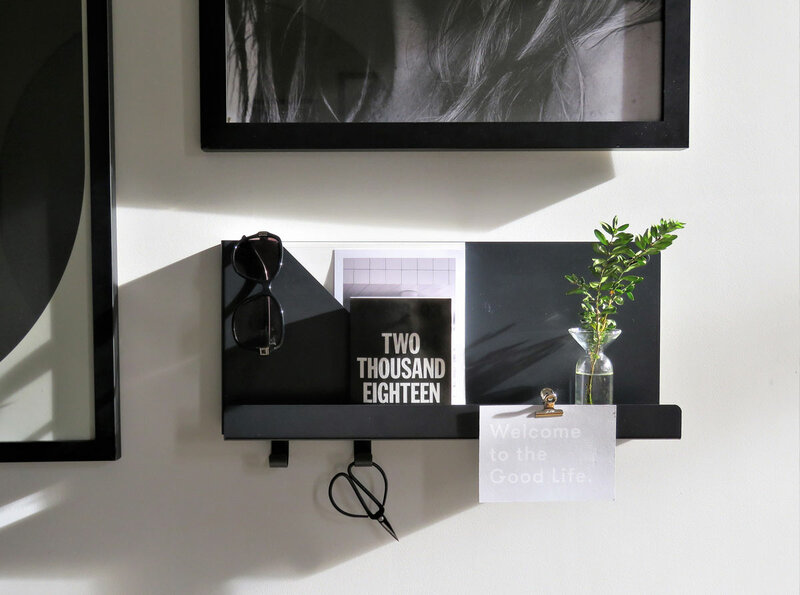 Thankyou Hayley French from @mylittlehousenz for her shelfie of the Muuto Folded Shelves. Share your snaps on Instagram using the hashtags #nestshelfie and #shelfie, and don’t forget to tag us @nest_co_uk. We can’t wait to see your creative creations.